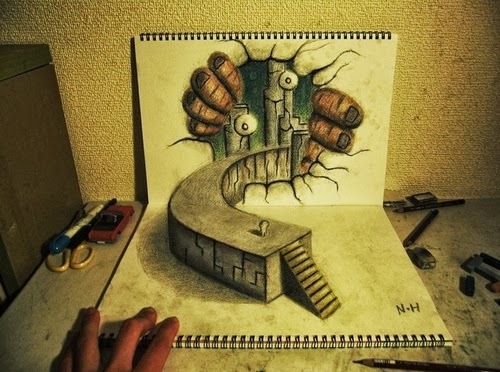 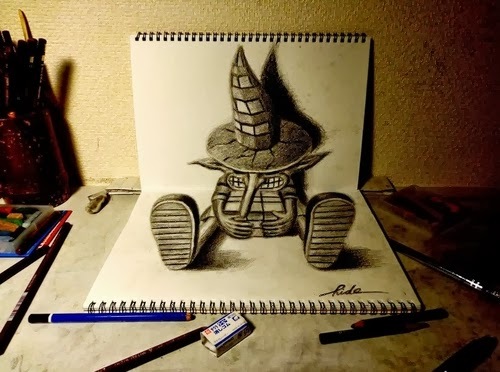 3D pencil drawings created by talented Artist Nagai Hideyuki aka (Hide) 永井　秀幸. 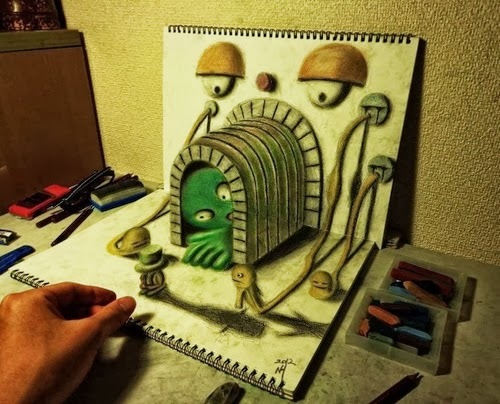 You can buy the full sized picture on his site, but even at this size they look very convincing as 3D objects, don't you think? 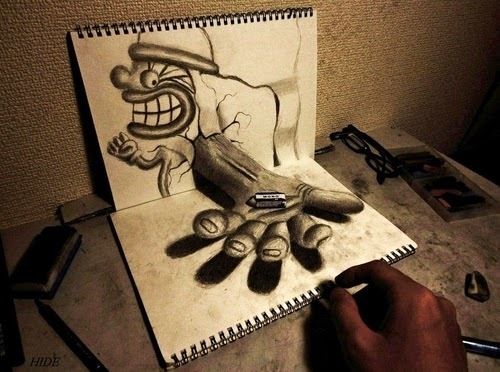 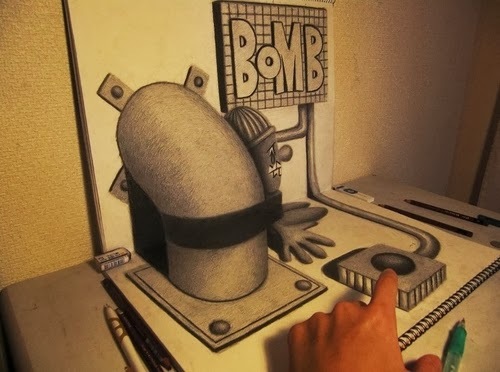 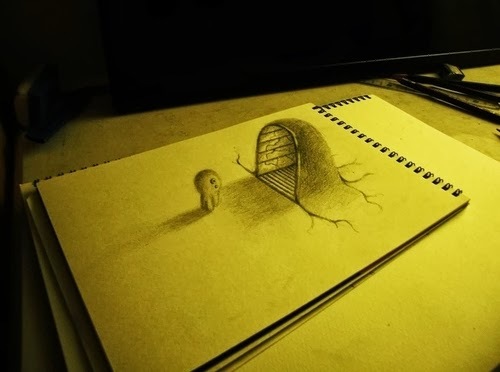 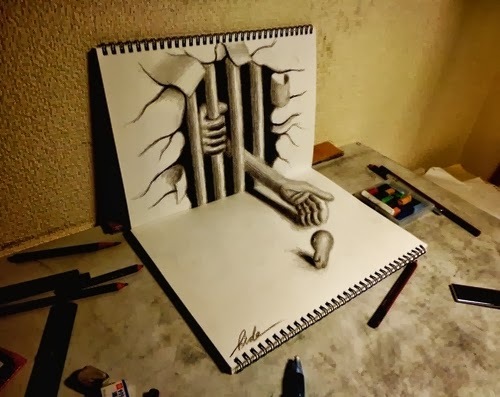 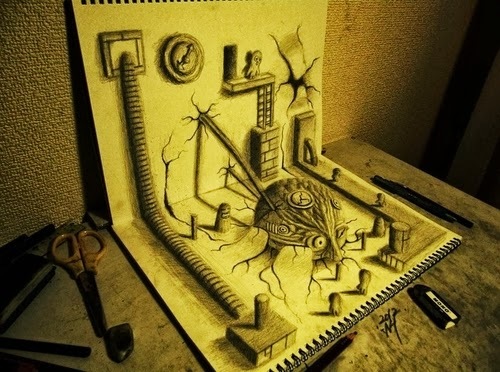 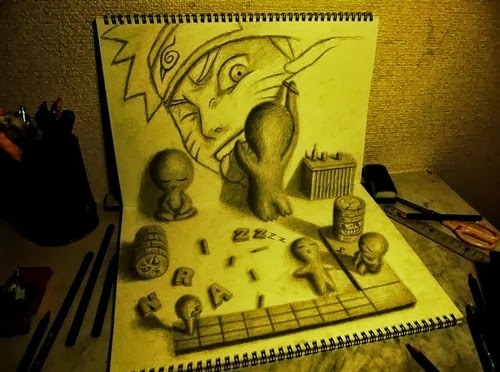 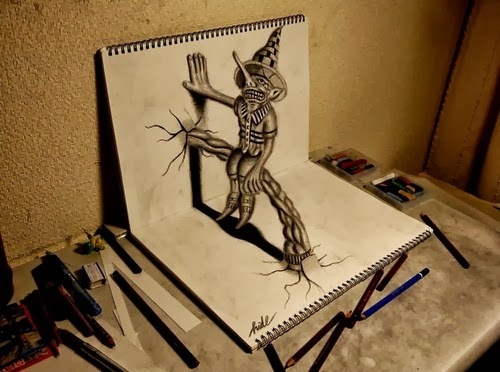 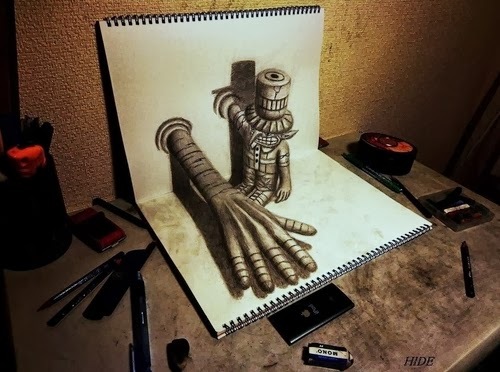 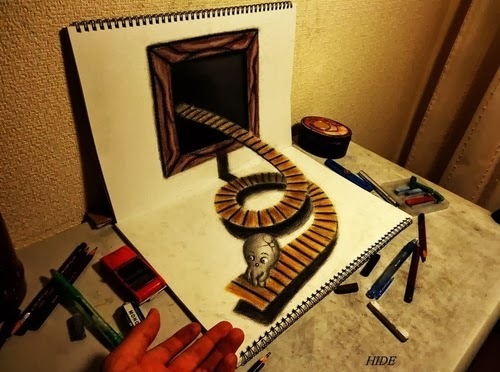 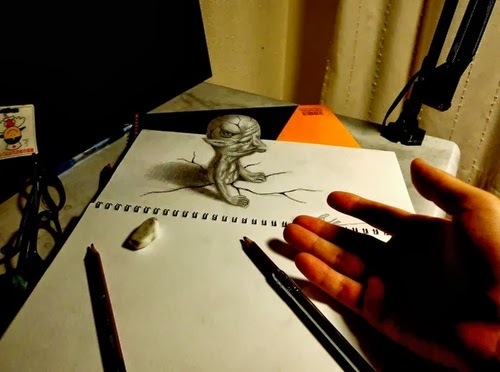 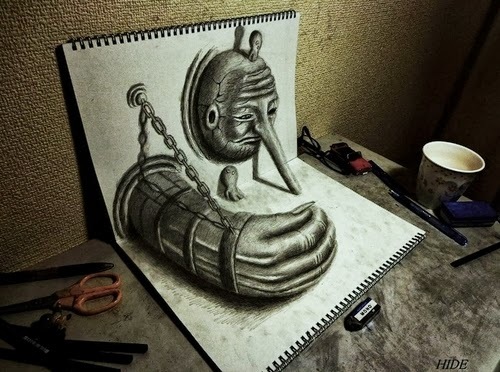 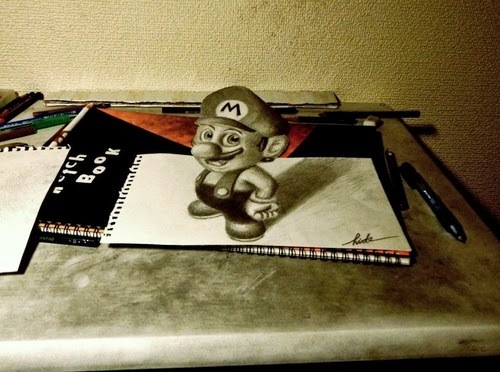 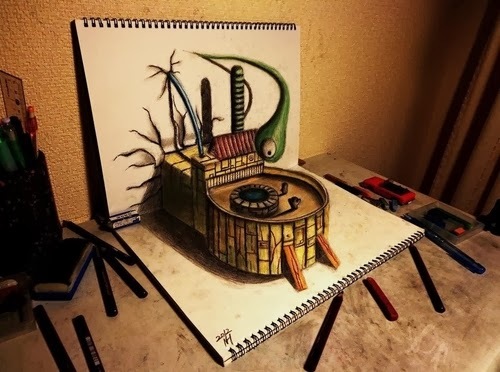 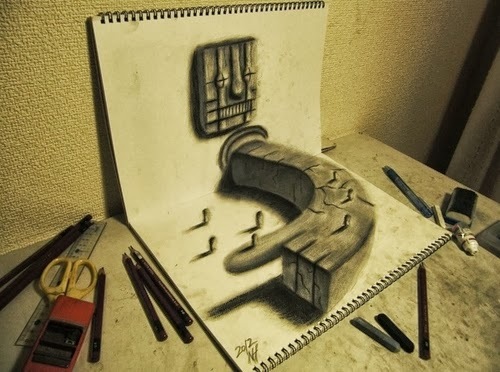 If you like these drawings you will like 3D Drawings.